With show options for virtually every budget and venue, as myself or in character, your event is just as special to Amazing Daviator Productions as it is to you. So what's new at Amazing Daviator Productions? 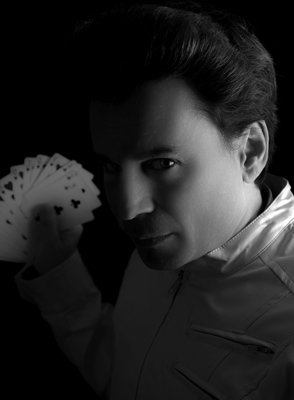 Wishjoy™ is the revolutionary new concept in magic for people of all ages, making every person in the audience responsible for the incredible feats happening during the show. There is literally no other magic show that is anything like Wishjoy™. You will believe true magic exists within each of us. Do wishes come true? They do during Wishjoy™! Pure Imagination™ is the 1971 Willy Wonka film themed new magic show with The Amazing Daviator in full Willy Wonka costume and character that is an absolute blast for children of all ages and filled with whimsical humor for the adults to savor. With loads of candy and other sweet surprises for all the guests, the Pure Imagination™ show is your golden ticket to magic paradise. Want to change your child's birthday world? There's nothing to it! Pure Imagination™ provides a huge opportunity for an extra special personalized experience for the birthday child that they (& you) will be talking about for years to come. If you are like the Mad Hatter, the impossible is just your every day, normal life. With more fun than you can shake a teapot at, Impossible Madness™ is the perfectly crazy, absolutely zany, positively bonkers magical adventure that only the Mad Hatter can deliver featuring The Amazing Daviator in full Mad Hatter costume showcasing the insane antics of everybody's favorite tea party host, the Mad Hatter. Ichigo's Afterlife Miracles™ is the new show featuring The Amazing Daviator as one of the best anime characters ever created, Ichigo from The popular 'Bleach' anime show. It contains strange and jaw dropping magic & mentalism that seems to tie directly to the afterlife, a subject Ichigo knows all too well. This show is great for teens & young adults who may feel unsatisfied by other magic shows. Requires at least 2 weeks advance notice of your event. Don't Blink™ is the brand new show that features magic effects that are so dramatic & happen so fast, if you blink you will miss them. Impossible instantaneous transformations, appearances and disappearances so incredible, you & your guests will be rewinding your video taken at the event to see what you missed. You will swear that you, your real life actual self must be part of a video that has been edited, because there can seemingly be no other explanation...except that it's pure magic! Zombie Magical Apocalypse™: Magic & zombies come together in a show filled with creepy magic effects presented by The Amazing Daviator in full zombie costume. This one is terrific for adults and those older kids & teens who aren't usually entertained by other magic shows. When the show is done, all the guests get the theatrical treatment: being turned into movie and TV show quality zombies using professional, ghastly makeup effects. Note: This show takes additional planning and extra special props and supplies. Requires at least 3 weeks advance notice before event.
" I'm not sure who was happier at the end of our son's 8th birthday party, the adults or the kids. Thank you SO much for reminding us that there is magic everywhere, especially in having kids around. I have told EVERYONE about your incredible show." "You made believers of magic out of even the most skeptical people at our Halloween party. What a show! Bravo, bravo, bravo!" "The way you made people REALLY part of the show, not just observers to the events, not just the volunteers onstage, that you could make magic happen that people didn't even KNOW was happening, well that just blew us away. Haven't been into magic since I was a kid, but I'm now interested all over again. Thanks for making my year!" It's time for wonder and amazement to overwhelm your senses. It's time for happiness to find it's way from the depths of your heart to the emerging smile upon your face. It's time for The Amazing Daviator. Please note Amazing Daviator Productions will also travel to Mount Rainier, Brentwood, Hyattsville, Bladensburg, Arlington, Capital Heights, Capitol Heights, Takoma Park, Adelphi Chillum, Cheverly, College Park, New Carrollton, Riverdale, Suitland, Alexandria, Bethesda, Chevy Chase, District Heights, Oxon Hill, Silver Spring, Temple Hills, Falls Church, Greenbelt, Lanham, Beltsville, Glen Echo, Kensington, Mc Lean, Southern Md Facility, Upper Marlboro.